In the age of smartphones, no longer do we need to struggle to describe where something is located. Most of us have maps in our pockets that would have made Lewis and Clark leap with joy, not to mention making their trip a lot shorter. 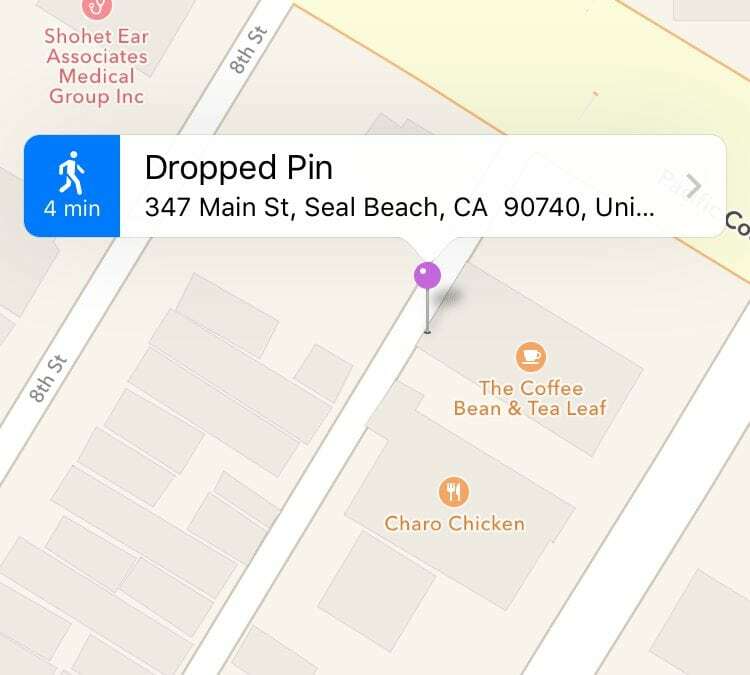 With Apple Maps, you can just directly text someone the location of a particular business, or in the event that the location doesn’t correspond to a business, you can drop a pin anywhere on the map. 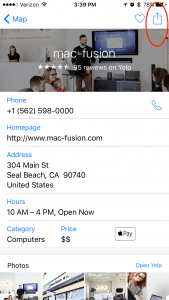 When viewing a business or landmark in Maps, tap the “Share” button in the upper right corner. In the share menu, select the Message option to text someone the location. Type the name of person you want to text. If they’re already in your contacts, their name should automatically fill in. Click Send and you’re done. In the event there’s no business at that location, you can also drop a pin anywhere on the map. To do this, simply press and hold on the spot you want to mark. 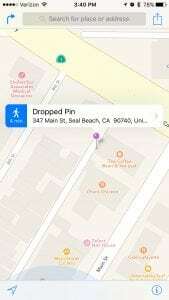 A purple pin should drop on the location. Click the bubble above the pin and find the same Share button as before, then follow the same process to share it.